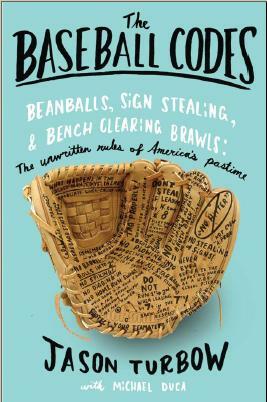 This is a story about baseball’s rulebook, and also about baseball’s unwritten rulebook. One, it turns out, feeds the other. Yesterday, Marlins left fielder Derek Dietrich, racing home on a single, was easily beaten by the throw from Cubs right fielder Ben Zobrist. With his only hope at scoring being to dislodge the ball from the catcher, Dietrich plowed into Victor Caratini, just as generations before him have done. Actually, it was a fair step milder than in previous generations, the collision being mostly arms, not even forceful enough to knock Caratini from his feet. Still, this is the no-contact era of major league baseball, a place where, following Scott Cousins’ takeout of Buster Posey back in 2011, the target on catchers’ backs was institutionally removed. This is a time in which a late slide from Tyler Austin—a slide that once wouldn’t have so much as raised an eyebrow in the opposing dugout—led to fisticuffs in New York. So, when Dietrich took liberties with Caratini, Caratini responded in kind. The dugouts quickly emptied, and though the most significant moment of the resulting skirmish involved Kris Bryant tickling former teammate Starlin Castro, the event is worthy of exploration. Cubs and Marlins benches clear after Derek Dietrich barrels into Victor Caratini at home. In this case, it appeared to be unwitting: Upon receiving the ball, Caratini turned to make the requisite swipe tag before realizing that he had overshot his positioning and was reaching into foul territory, away from the plate. He quickly drew his glove back into the runner. It left Dietrich little choice about contact. The runner’s ensuing shove was purely elective, of course, though it was a far cry from the devastation possible had he opted to lower his shoulder. Dietrich even tried to make nice by tipping his cap to the catcher before Caratini got into his face. We’re left with this: Victor Caratini is 24 years old and was playing in his 51st big league game. Posey-era rules are all he’s ever known. With little basis from which to understand the rationality of Dietrich’s decision, the catcher reacted angrily at being shoved, and a play that should barely have registered soon bordered on fisticuffs. The sport’s unwritten rules can be seen in similar light. Take the aforementioned Yankees-Red Sox brawl back in April. On one hand, the Red Sox were overly sensitive about a slide that a generation earlier wouldn’t have drawn much notice. On the other, the slide was clearly outside of baseball’s recently established parameters, and Austin should have been prepared for the response that he received. Ultimately, neither side had much clue about how to handle what was, before now, a fairly standard baseball situation, and things ended badly. They ended badly because many players no longer understand the intentions behind much of the Code, and react instinctively rather than rationally. It’s what enables sensitivity about the personal nature of an action that is not at all personal. These are the unintended consequences of the sanitation of the sport. There are clear benefits—fewer collision-based injuries and a decline in retaliatory beanballs—but there are also growing pains. Yesterday’s collision was only one of them, with more certain to follow.